Wire electrical switches yourself and save on electrician fees. A switch connects and disconnects a wire carrying electricity. When switches are "off" the circuits are broken between the power supply and electric devices. 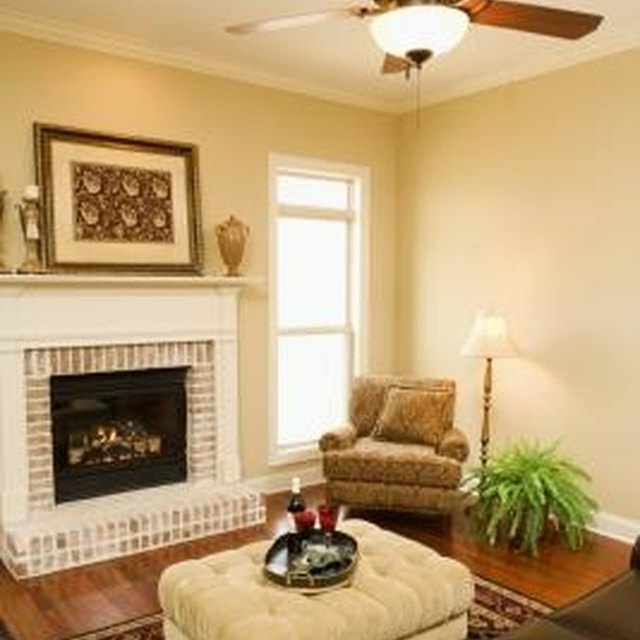 Electrical wiring for most household lights and fans is limited to two wires: a hot wire and a ground wire. The hot wire has two connections on the switch and the ground wire is secured to the screw on the switch for grounding. There's nothing else wired to a standard light switch. Three-way switches and GFCI outlets are slightly more complicated and should be left to an electrician. Turn off the power to the switch at the breaker box. If you cannot identify which breaker controls the switch, turn off the main power switch. Identify the wires. The hot wire will be cut with two stripped wire ends ready for connection. The hot wire usually has black insulation, but may be another color. No matter what the color, the two hot wire connectors will have the same insulation color. The ground wire is either insulated with a differing color, or not insulated at all. Locate the connector screws on the switch. On one side of the switch there will be two connection screws for the hot wire. The other side of the switch has a single connection screw for the ground wire. Connect the wires. Curl the bare ends around the posts of the connection screws in a clockwise direction. Tighten the screws firmly, with a slotted screwdriver, causing the curls in the wires to close together. Set the switch in the wall and screw in the holder screws with a Phillips screwdriver. Leave the switch plate off until checking the job. Restore power with the switch turned off. Turn the switch to the on position and make sure it controls the intended electrical device. Replace the switch plate cover. If the switch is working properly, fasten the two screws on the switch plate with a slotted screwdriver. Never work around live wires. Electrical current poses a risk of serious electrical shock or electrocution. Don't guess at wiring. If a switch has a wire configuration you don't understand, call an electrician to do the job. Improper wiring can cause a house fire. How Do Wire Connectors Work?